Year 4: All hail Caeser! Year 4 are charging along with their new Creative Curriculum topic of 'The Romans'! The children seemed to be enthused by the new topic and we have managed to make plenty of cross-curricular links to our English work too. In English, we have been reading 'The Gladiator Boy' by David Grimstone. While using this book as our main text, the children have produced some wonderful character sketches of the main character and some dramatic, powerful writing about being in the fight scene of a gladiatorial battle. There are a few titles in The Gladiator Boy series if any of the children would like to read some of the others at home, we would love to hear about what they thought. In maths, we have just begun our new short unit on all things related to 'time'. 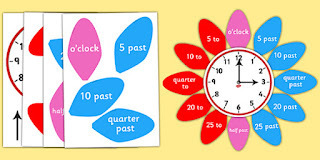 If your child is struggling with learning to tell the time on an analogue clock, it can be helpful to set something like this around a clock at home. 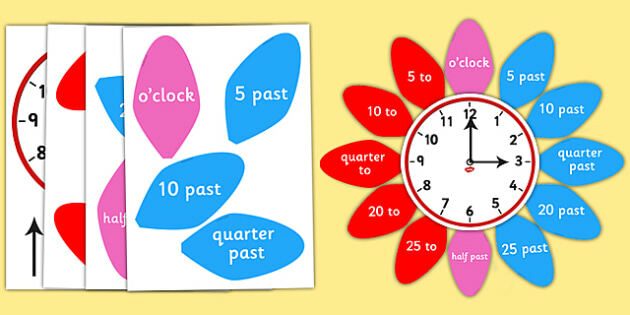 This can give children plenty of practise to see and learn how the concept of telling the time works. We will be teaching analogue time alongside digital time. In science, our new unit is digestion and teeth. So far we have been learning what happens to our food when it is digested and learnt some of the different body parts associated with the process. Next week we will be conducting a virtual digestive system with some tights and some food stuffs!! It can get messy. As mentioned, we have begun work learning all about the Roman Empire. To date, we have focussed on the reason for Emperor Claudius's invasion in AD43. Next week, we will be looking at the organisation and special qualities of the Roman army. A head's up that we will be setting a special DT homework and asking the children to make a replica Roman shield. It might be worth hanging on to any large pieces of card you may come across in the next few weeks!.